August 18, 2015 October 8, 2017 - 2 Comments. 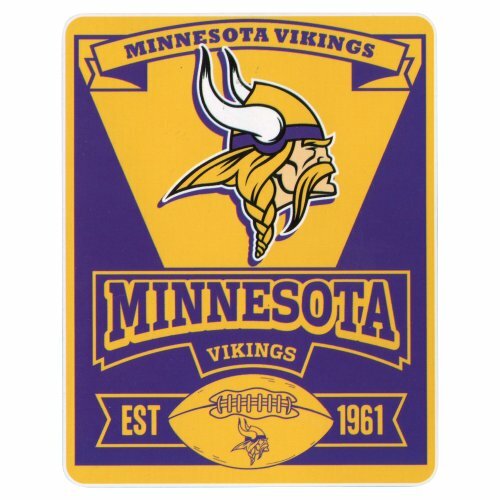 Football season is here again! 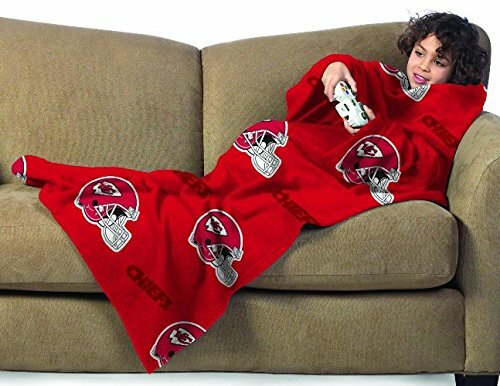 That’s a sure sign that Fall is just around the corner and soon it’ll be time to snuggle up with your favorite NFL team blankets and watch the game with your sweetheart. At my house, I’m the football fan. Hubby played football in high school and said that was enough for him. LOL! 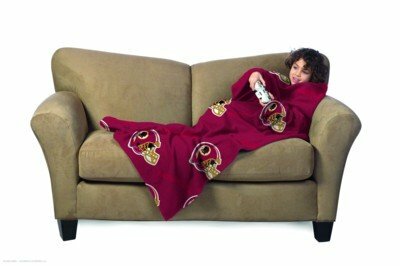 He says he enjoys watching me more than the football game. Yea, I’m a screamer. It’s all fun till someone (who shall remain nameless) throws the popcorn across the room. My husband uses his throw blanket as a shield. 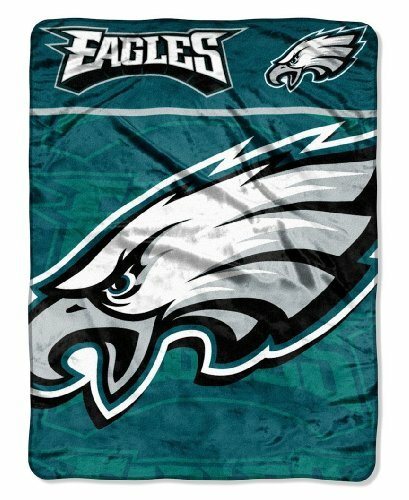 Even if you’re not the football fan, one of these NFL throw blankets will make a thoughtful gift for the football fan you love. 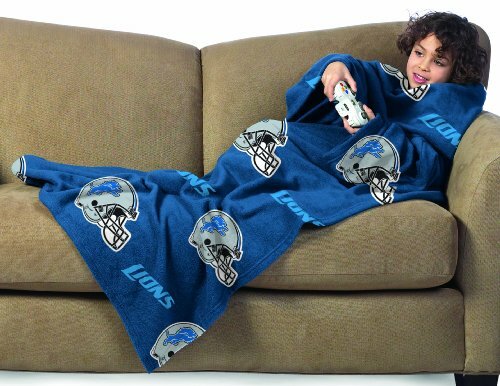 Add a bowl of popcorn and give him the remote and he’ll be set for the season! 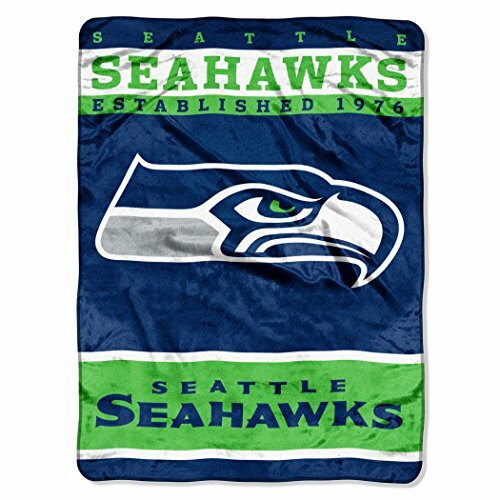 The NFL throw blankets are machine washable polyester for mom and brightly decorated with their favorite NFL team logo and colors for the family football fans. 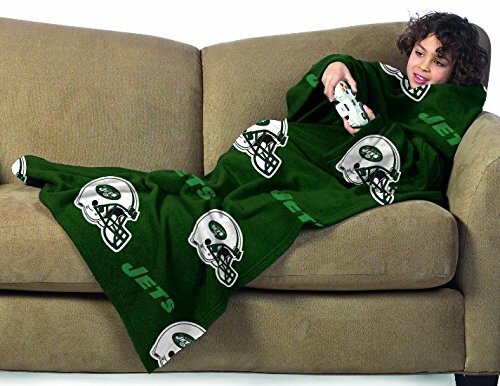 Starting off with the younger fans of the NFL football teams; they will love these youth sized cozy blankets with sleeves. 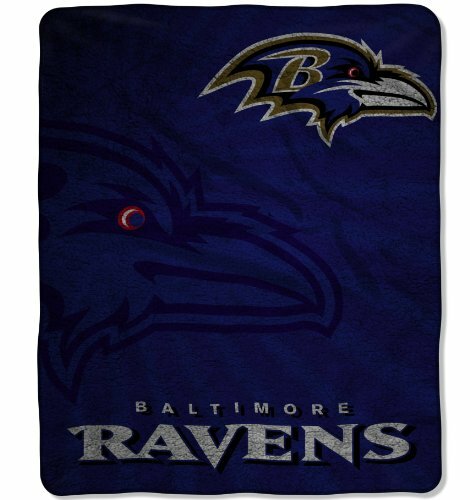 They’re 100% polyester and machine washable, so soft and warm. They won’t want to take it off! 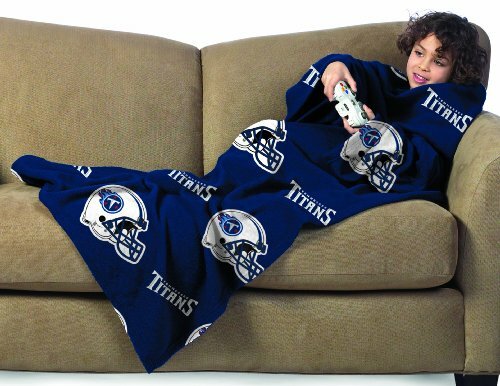 Perfect for slipping on to warm up after a shower or to cuddle up in front of the TV to watch a game. Not to mention sleepover parties and trips to the grandparents. 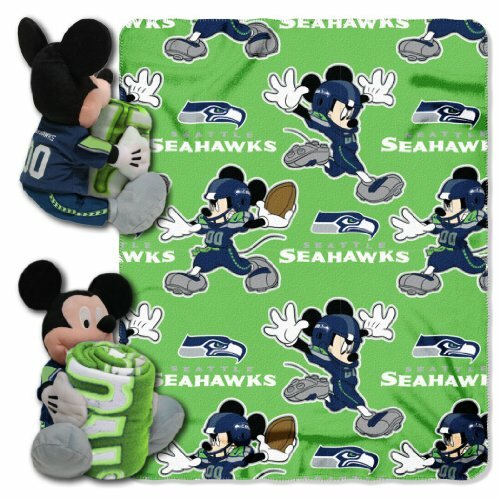 These are fun blankets your child will love. 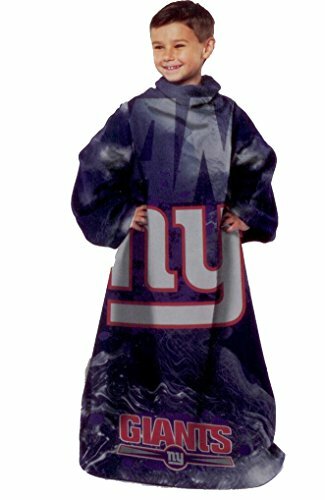 Headed to the football stadium? 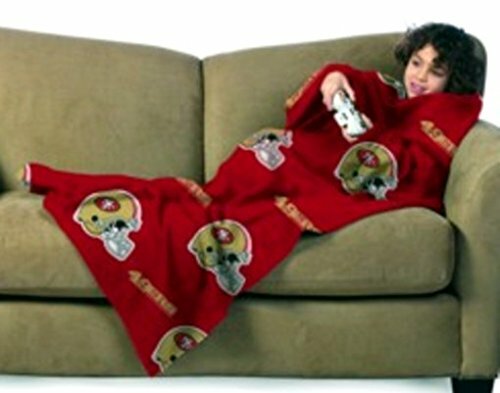 Why not let your child bring their blanket with sleeves with them to keep the chill off? 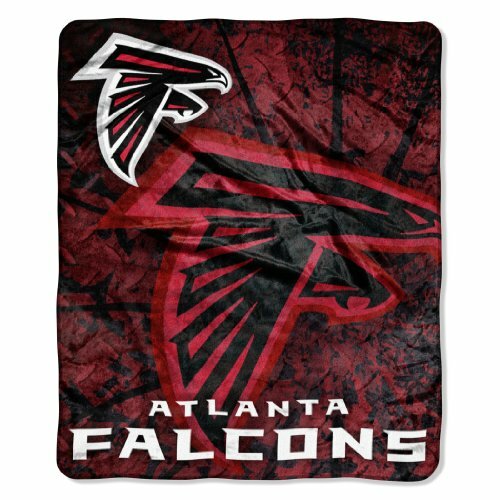 Pick up a few of these value priced NFL throw blankets with sleeves to give as gifts this Fall or for Christmas. Then watch their delight when they try it on! These larger NFL throw blankets are perfect for college dorms, Dad’s recliner and even the couch. 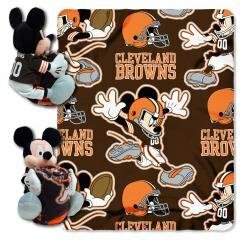 Soft and warm, I’ll bet you’ll love cuddling up with your armchair quarterback while he watches his game! A great choice for college dorms, teen boys bedrooms and little boys bedrooms is NFL bedding. 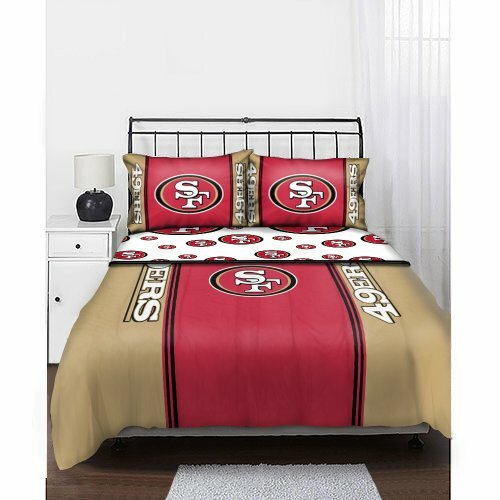 Indulge the guys’ love of their football teams and treat them to bedding in their favorite team colors and with their favorite team logos. 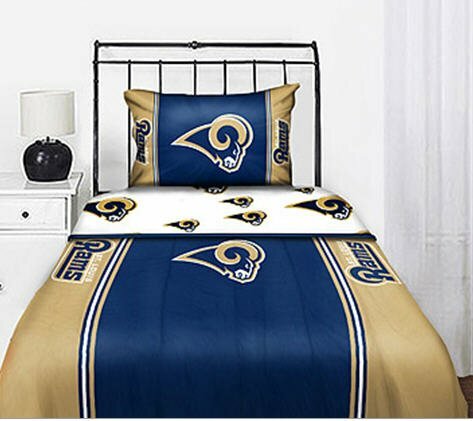 You can go all the way and do their whole bedroom in their favorite NFL team’s bedroom decor, or you can just have fun with basic bedding choices. 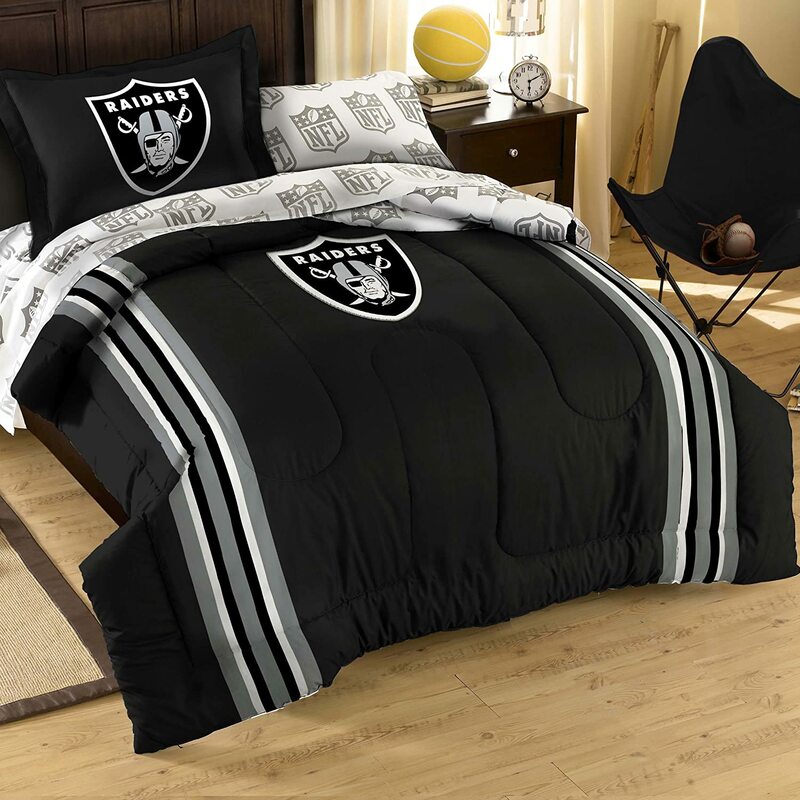 Take a look at some of these cool NFL bedding sets for some inspiration. 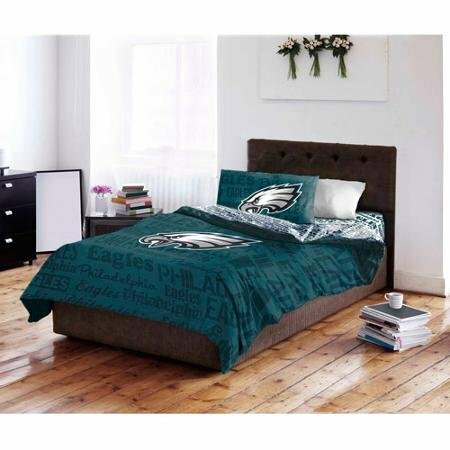 Your football fan will love you for this. 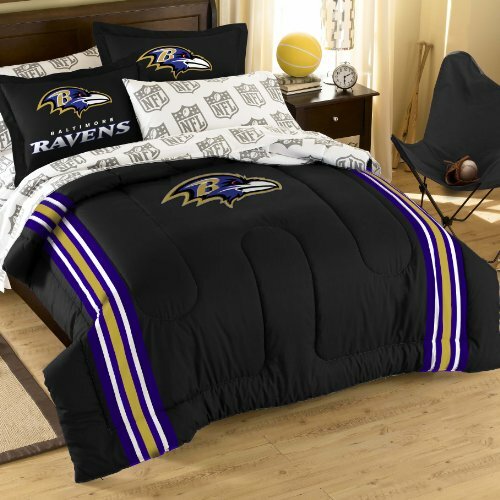 NFL football bedding makes great Christmas gifts and birthday gifts for men. 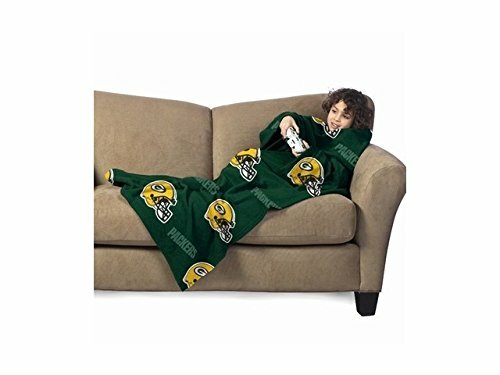 Don’t forget the tiny NFL fans. The tiniest tikes love to dress and do like their parents, so why not pick them up an NFL blanket that comes with it’s own 14″ plush Mickey Mouse hugger. These are so adorable! 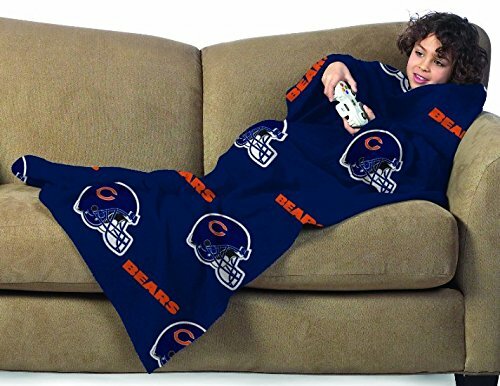 Great for naps or for in the car. Hey, you know what? 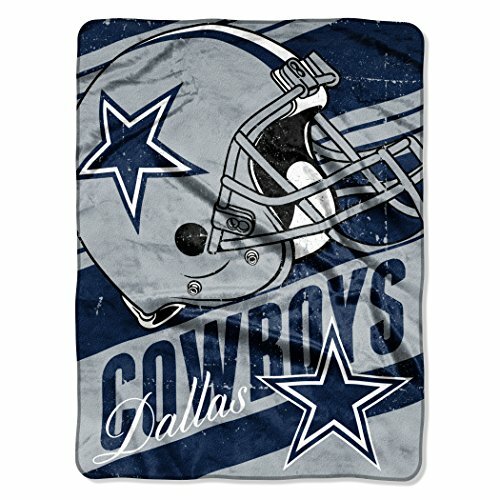 I bet the ladies would love one of these! 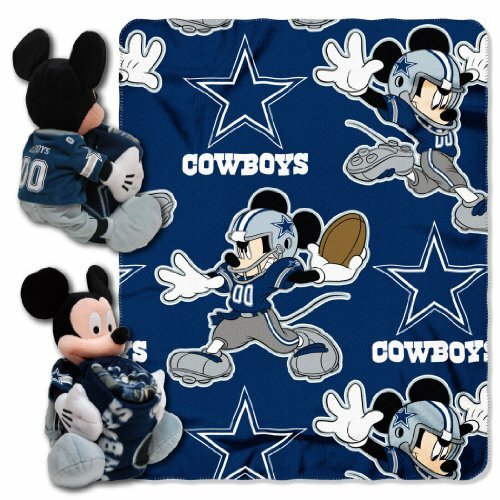 I know I’d love a Houston Texans Mickey! 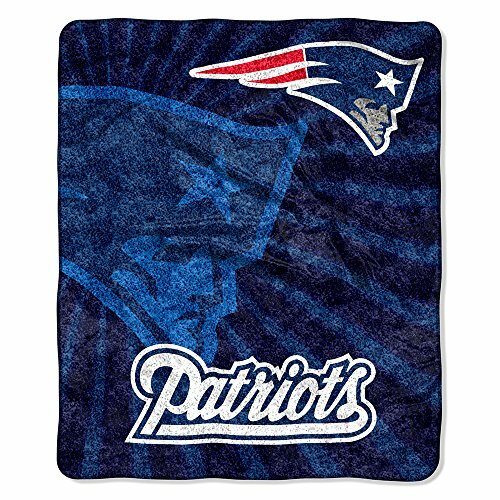 Have a great football season! 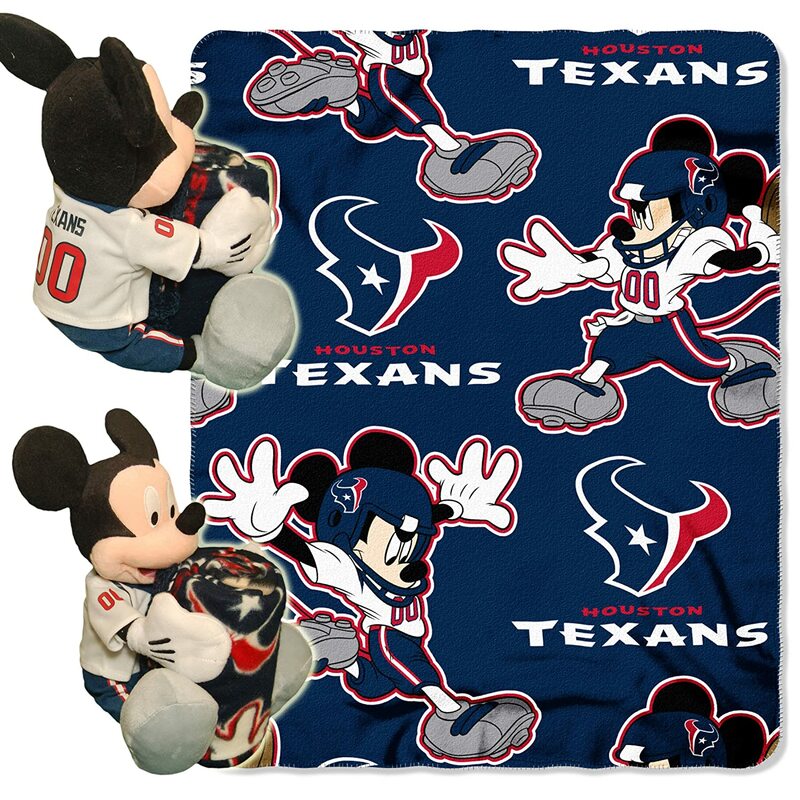 I hope your team wins…as long as your team is the Houston Texans! Ha! 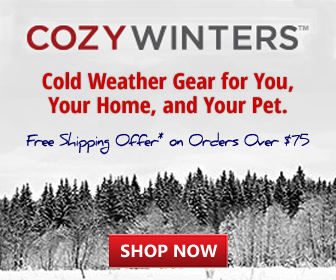 Come back soon to check out what other goodies we bring you. 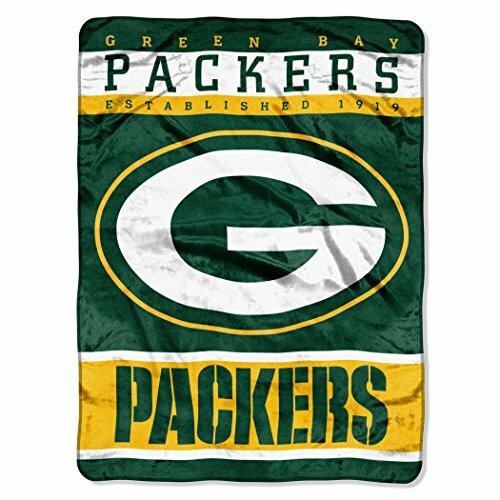 eBay is fun to shop for NFL throw blankets because you’ll find so many kinds. 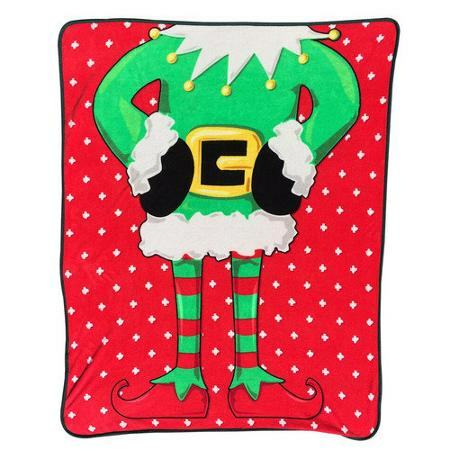 In fact you may find some that were discontinued. That would be a treat! 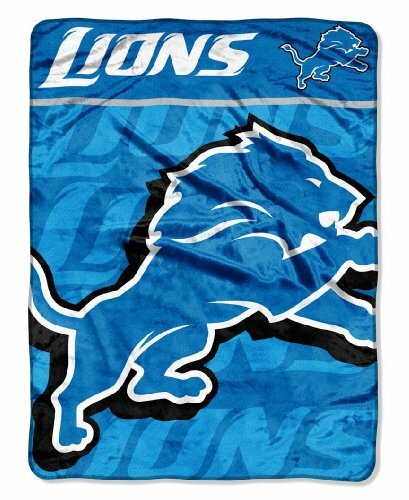 Here are some NFL throw blankets that I found doing a search on eBay. 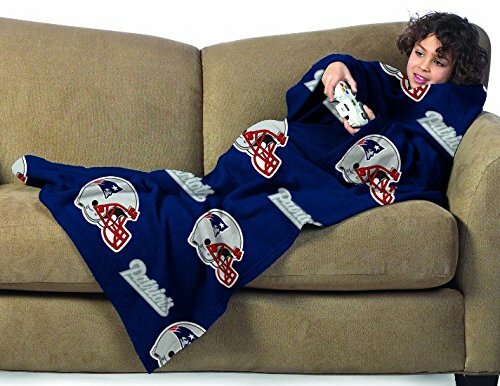 NFL Go-Team Red/Blue Afghan. Hand Crocheted. 100% Acrylic Yarn. 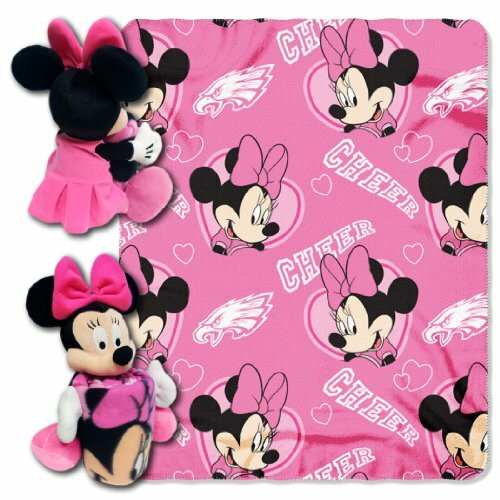 63"L x 40"W.
My favorites are the Mickey Mouse blankets. How cute!